How about some samples using current products? 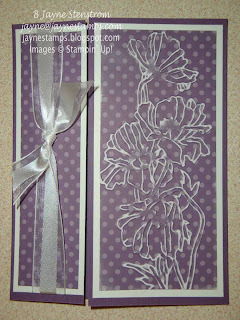 Yesterday a couple of friends came over for a stamping day. We had a lot of fun creating these cards - all were CASE-d from cards I'd seen on various blogs. This card was originally created by Deb Currier, who is in my Upscale Swap Group. 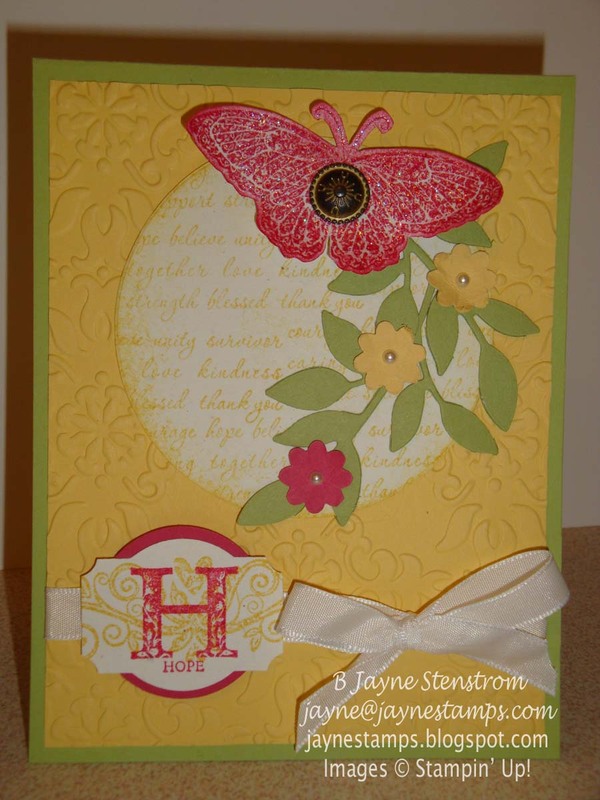 It uses the Strength & Hope stamp set on page 27 of the mini catalog. 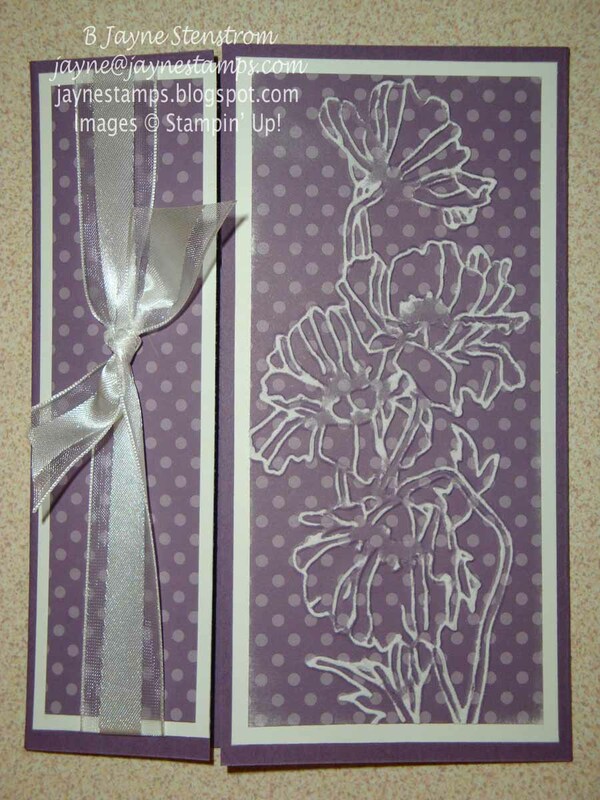 For every purchase of this stamp set or the Strength & Hope Digital Kit, Stampin' Up! will donate $2 to The Breast Cancer Research Foundation. This is a beautiful stamp set and purchasing it will benefit a worthy cause.